Music sets the stage for everything within Walt Disney World. In fact, it’s so integral to Disney experience that you can’t even sit along the shores of Bay Lake at Fort Wilderness without hearing the sounds of the Frontier, from the windswept flutes of the Native Americans to the thunderous stampedes reminiscent of Copland’s Rodeo. With all of the music permeating the landscape of Walt Disney World that we do and don’t stop to take notice of, do we recognize how music changes a place when it is replaced? 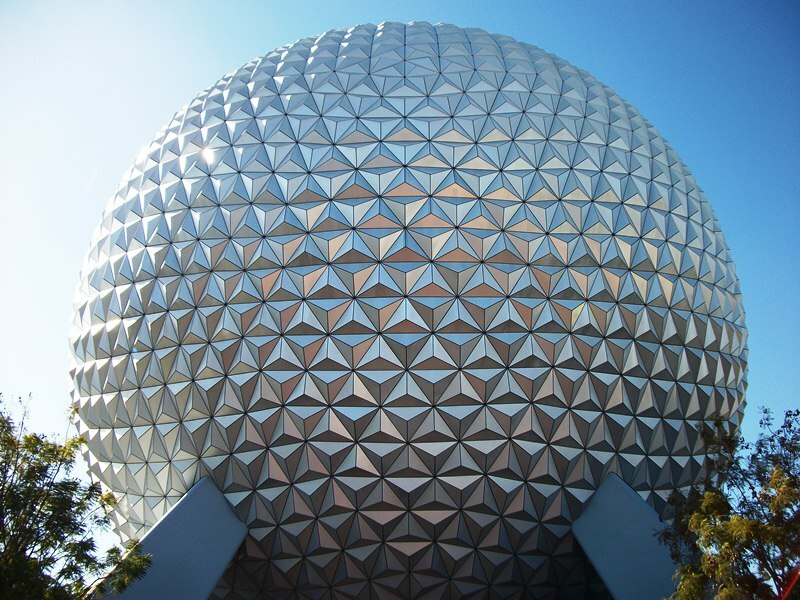 Let’s look no further than Future World in EPCOT Center and the current Epcot for a prime example. The Epcot entrance loop has always been comprised of the overarching themes of the park in addition to the specific scores of the attractions. I’ve always loved these set of loops, whether from the entrance area, fountain courtyard, or along the various concourses, but it wasn’t until I listened to them back to back recently that I made a startling discovery; the background music that moves us through the Future World of today doesn’t carry with it the same emotion it did yesterday. Let me explain. When I stop and really listen to the music of EPCOT Center there is a story present. It’s mankind at its most basic, if it’s most basic included electric string instruments, but I digress. It had weight to it and felt familiar to everything that had come before it, not just musically but historically as well, much like the attractions of EPCOT Center always paused to look back before beginning their move forward to tomorrow. If you listen to the music with your whole body, and not just let it play into your subconscious, there is an emotion to it. There are moments of hope, of heart-wrenching longing, and even threatening challenges. This last emotion struck me the most, the future was never meant to be easy, and the music reminds us of how strong we will have to be to step up to those challenges we will face. Let’s fast forward to today’s musical pathways. There is a plethora of music that I love built into the current background loop, from Soarin’ to Test Track and even the Imagination Institute’s theme, but there is something missing. When I listen to the music today I hear light-heartedness and more than a touch of whimsy. The emotional weight, that sense of purpose that drove the music of EPCOT Center has all but vanished. Now, there’s nothing wrong with any of this music, I love all of it, and it certainly has its place in a theme park, but maybe that’s the point I’m trying to get at. Epcot has never been a traditional theme park. It came into this world to embody the ideals, if not the actual ideas, of Walt Disney’s hope for future. It was driven by education, history, through the science of today and the dreams of tomorrow, and the music encapsulated that perfectly. Today the park seems to have lost its governing principles and you need look no further than its musical score to hear it. We can debate the place of whirligigs on lampposts or lighted walkways all we want, but the music tells the story all too clearly. 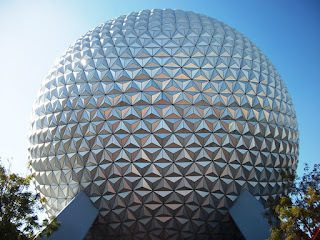 Epcot is a wonderful place, and its striking visuals still take my breath away every time I see them. If it aspires to be nothing more than a theme park, then it has done a bang up job. Period. If, however, it still wants to reach back and find its identity as a place to inspire something more for all of our tomorrows, then let’s start with the music. It was a challenge once upon a time and it is still calling out that challenge to us today. Sadly, parks management seems to have no interest in making Epcot anything more than a theme park. Often, it seems like they don't want it to have consistent themes at all.